In today’s socially engaged world, more than 70 percent of the buyer’s purchase process is completed before a sales person is even involved. By the time the buyer chooses to engage with a sales person, they have a preference, a list of open questions and a price in mind. 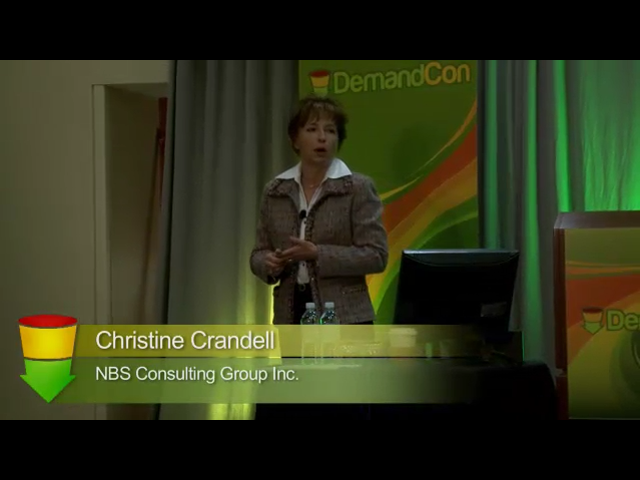 According to Christine Crandell, founder of NBS Consulting, in order to overcome this growth obstacle and increase the Revenue Cycle, Chief Executive Officers need to embrace the principle of the Buyers’ Journey along with aligning their Sales and Marketing teams according to their buyers’ actions. Only through aligning to the Buyers’ Journey can companies leverage the reality of today’s social engaged world into a competitive advantage. By utilizing this methodology, marketers will increase their revenue cycles by 3-5 times and decrease the cost of sales by 30% or more.